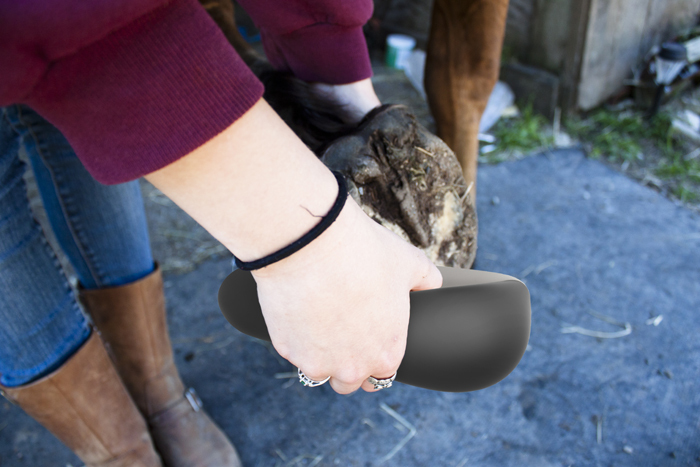 Bare Minimum is a set of tools for the average horse owner to trim their horse’s hooves. This system has redesigned traditional tools used in farriery (the practice of trimming hooves and shoeing horses) so that a horse owner who does not have as much experience in trimming can easily handle the tools without contorting the body. 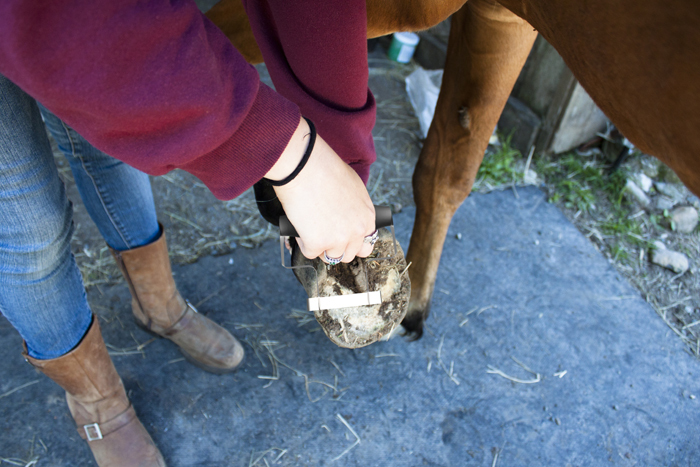 The system includes a rasp for filing down the hoof wall as well as a hoof knife to trim away the sole of the hoof. The tools have been redesigned to easily be used with one hand as close to the natural wrist position as possible. 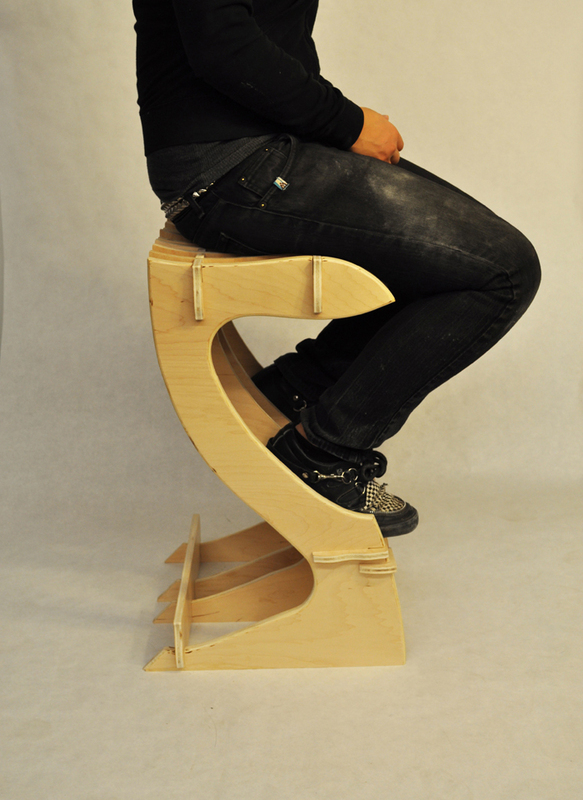 The Cobra Stool is a flat-packing, ergonomic stool that is designed to hold up to 250 pounds. 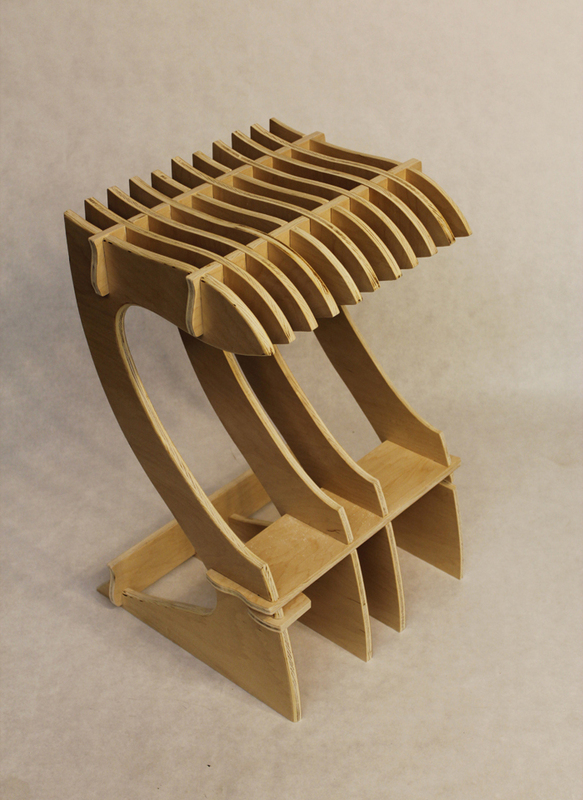 The aim for this stool was to make assembly simple and to be a comfortable seat. 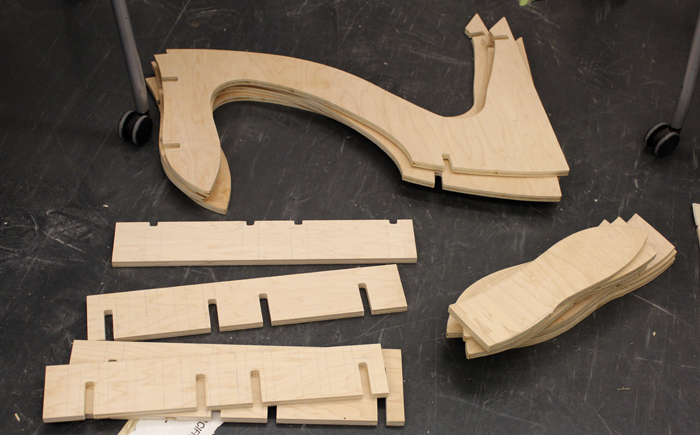 All pieces are made from half-inch maple plywood with interlocking slots so that no extra fasteners were needed. 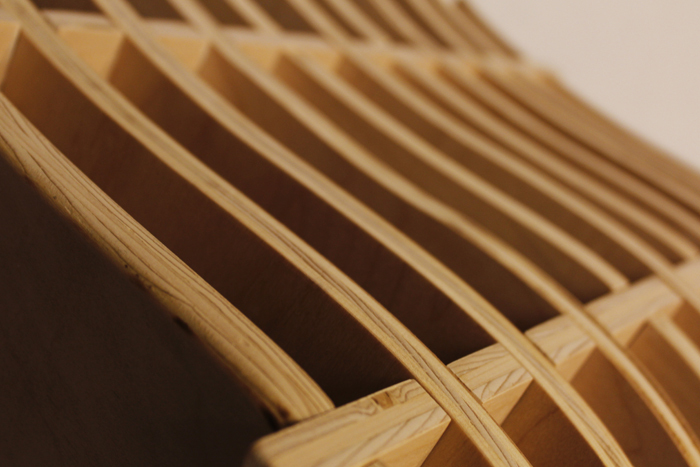 The spacing of the vertical pieces of plywood allows for weight to be distributed through enough points of pressure so that maximum comfort can be achieved through this design. This, along with the curve of the seat itself, allows for greater comfort while sitting, making the duration of sitting and working in one place longer and removing a discomfort factor in the work environment. 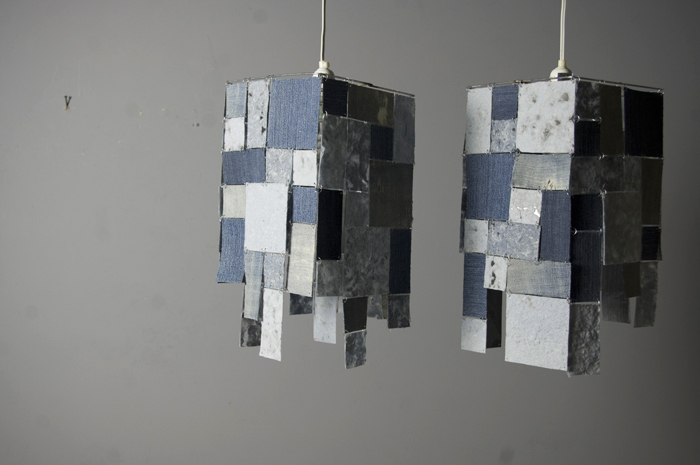 The ‘Tile’ Lamp is the product of experimenting with upcycled materials. 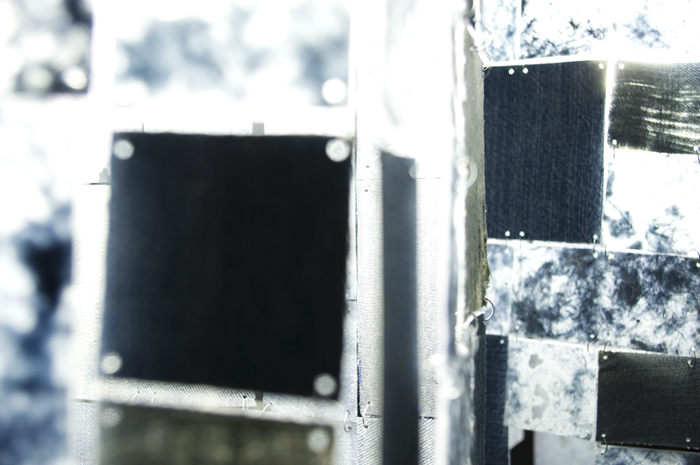 The aim of this project was to repurpose used and unwanted denim and design a product that could be conceivably manufactured. 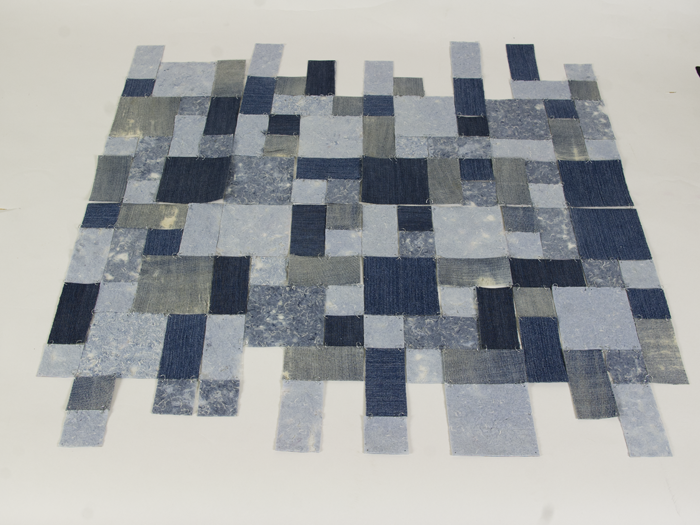 The experimentation led to creating a pulp from the denim and making a denim paper, and from this process came the study of light passing through different materials. The lamp became the vessel in which we created form and compositional studies, making variations in the relationship between light and shadow. 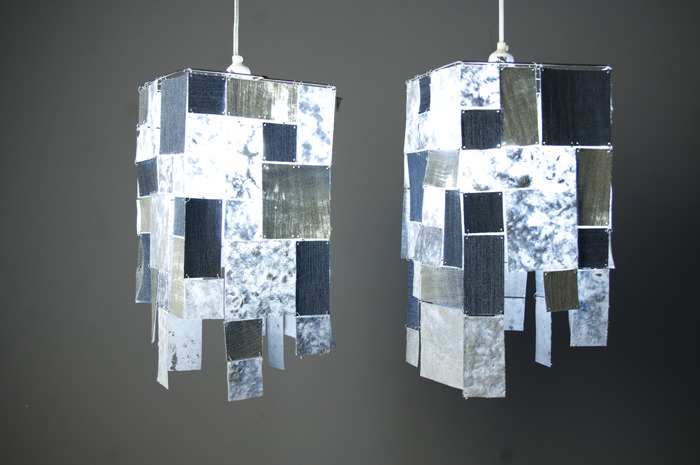 Using tiles of denim paper which allowed light to pass through along with unchanged denim, we created two lamps that shared the same material properties but were each unique in their composition.